Interested in making a drone, but confused on where to start? Use this UAV beginners guide! The Drone scene is becoming bigger day by day, most of the technology giants have already tried their hands with developing multirotors. Some of them like: Project Wing (Google), Amazon Prime Air, Intel® Falcon 8+, etc. 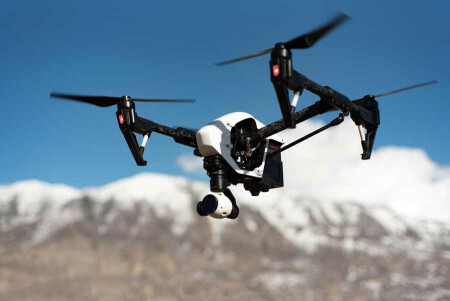 Multirotors can be used for fun flying or even for spying operations more efficiently compared to other UAVs. Pocket drones to multi rotors capable of carrying even people are out there. This UAV beginners guide is intended to help you get started in this field. Day by day, more and more advanced technologies are popping up in this field. If you are interested in making one but still confused on where to start, you can start from this UAV beginners guide. Below are the list of few resources that will help you to get started in multirotors. Ardupilot is an open source community having their own flight controllers (Arducopter- based on arduino, Pixhawk) and softwares. Here you can learn about different unmanned aerial and ground vehicles. Aerial vehicles includes: multi rotors, helicopters and fixed wing aircrafts. Ground vehicles consist of cars and boats. Arducopter and their forum diydrones.com are more focused on multirotors. They also have a multirotor page. Grab your free guides to start with from UAVcoach.com. Tutorials on basics controls and the movement of aircraft, beginner tips and on building quadcopters are available in pdf format. Use the free guide tab in their home page to download the required guide. Blog by Gulzar, an Indian drone racer and a RC hobbyist. You can find beginner tips and pro-level tips including which components to select for your build in his blog. If you are in a hurry to fly a multirotor, then here is a guide on the best quadcopter under $100. This guide will help you to choose a cheap beginner drone based on your budget. His blog and interests are more focused on FPV racing and FPV videos currently. This course is taught by Vijay Kumar, Nemirovsky Family Dean of Penn Engineering and Professor of Mechanical Engineering and Applied Mechanics. You can watch his TED talks videos. This course is focused on quadrotors. You will get an introduction to mechanics of flight and the design of quadrotors. This UAV beginners guide course also discusses the challenges in designing a quadrotor, its flight characteristics in a laboratory, outdoor and indoor flight, etc. Moreover, here you can learn how GPS and sensors can be used to get better stability for the aerial robots. You can see real life examples along with this Coursera course. To get excited and learn about more projects based on drones, you can watch a couple of curated TED talks on drones. I recommend you to not miss the TED talks by Raffaello D'Andrea, I am sure it will inspire you. A channel dedicated to RC related stuff. You can find playlists on different flight controllers and their setting up, each explained step by step. Check out their Painless360's Youtube channel for more information. Here is their "Quadcopter Building for Beginners" playlist. Check their "How to fly a quadcopter" playlist for beginner tips on how to fly and for getting familiar with the controls. These videos show the quadcopter and the transmitter in PIP mode so that we can see the movement of controls along with the movement of drones. Make sure to visit the My First Drone channel. Rotorriot : A team of drone racers on the mission of enriching the hobby and popularizing the drone racing sport by connecting and inspiring people (check their personal youtube channels too). BMSWEB: A channel that is essentially geared around FPV (First Person View), RC Planes and Multirotors. And then a couple of other UAV beginners guide channels: Flyin' Ryan RC, ROBOFORCERX2000 and Quadmovr. FPV racing is trending now, just give it a try by searching for fpv videos you can find a lot of videos and tutorials on it. Ever wondered how these big airplanes fly, and dreaming about making an aircraft your own? Here’s your guide to get started with fixed wing UAVs. More people are into multirotors because of the ease to get started and flying. But still if you want to explore fixed wing aircrafts, you can easily get the scaled down versions of real life airplanes. Most common models among hobbyists are: Cesna, Piper, etc. If you want to start with fixed wing aircrafts and don’t know what are elevators, rudders, ailerons, CG (centre of gravity) of plane, this playlist by flitetest is for you. You can get free plans and UAV beginners guide for making fixed wing aircraft from their website flitetest.com. Another RC channel, which is not too much into multirotors. You can get simple hacks, foam board plans and more from his video series. As the name indicates, the RCModelReviews channel contains reviews, teardowns and more of RC systems. There is also an interesting online course on Remote Control Warfare. SPAD (Simple Plastic Airplane Design), uses coroplast to build the model aircrafts. If the foams and boards prescribed in the above guides are not available, use coroplast (it’s easily available in India, compared to the foam boards). Corro is cheap, you can make one, crash and fix while learning to fly. Your pockets will be safe even though you crash. So that's about it guys. This UAV beginners guide has been intended to consolidate the best learning resources on the web for beginners on DIY Drones. You can also connect with me on our online Slack channel in Slack to get more guidance and check out Maker Pro's Drones page to become an expert.